Los Wild Ones marks Jessica Golden’s feature film debut as a producer. Jessica has worked in the entertainment industry for over a decade as an actor, writer and comedian. She is best known for The Adam Carolla Show and appearances on E! (Chelsea Lately, Celebrity Oops), VH1 (Black to the Future), Jimmy Kimmel Live, the style network and truTV (The Smoking Gun Presents: World's Dumbest). She performs standup across the country and was featured in "Best of the Fest" at The Montreal Comedy Festival (Just For Laughs). Jessica was in Sony Pictures’ Reign Over Me and has had prominent roles in various independent films, among them Diamond on Vinyl, which Indiewire calls one of “Five Breakouts of Slamdance”. Additionally, she writes, produces, and co-hosts Don't Steal This Morning Show w/Jessica Golden & Matt Boren. Elise Salomon has produced several award winning short films and has worked with some of LA’s most notable comedians. The first feature film she produced, Paper Heart, which stars Charlyne Yi, Michael Cera and Jake M. Johnson, premiered at the 2009 Sundance Film Festival in the U.S. Dramatic Competition and won the prestigious Waldo Salt Screenwriting Award. Her second film, which she Co-Produced, Smashed, stars Mary Elizabeth Winstead, Aaron Paul, Nick Offerman and Octavia Spencer. Smashed premiered at the 2012 Sundance Film Festival in the U.S. Dramatic Competition and was awarded the Special Jury Prize for producing. The film was released theatrically by Sony Pictures Classics in 2012. Los Wild Ones is Elise's directorial debut. With over a decade of experience, Ryan Brown is a feature film editor whose works have screened as official selections at countless film festivals worldwide, including the Sundance Film Festival, South by Southwest (SXSW), the London International Film Festival, Los Angeles Film Festival, and the Deauville American Film Festival. Much of Ryanʼs work has garnered attention specifically for his unique collaborative ability in both writing and producing, resulting in truly enhanced narrative form. Ryan served as both writer and editor on Los Wild Ones. His first feature, Paper Heart, having only a 5-page outline, was constructed largely in the editing room. Ryan has edited various high profile television and film projects and has worked with notable directors such as Judd Apatow, Eugene Levy and Danny Leiner (Harold and Kumar Go To Whitecastle, Dude Where's My Car). 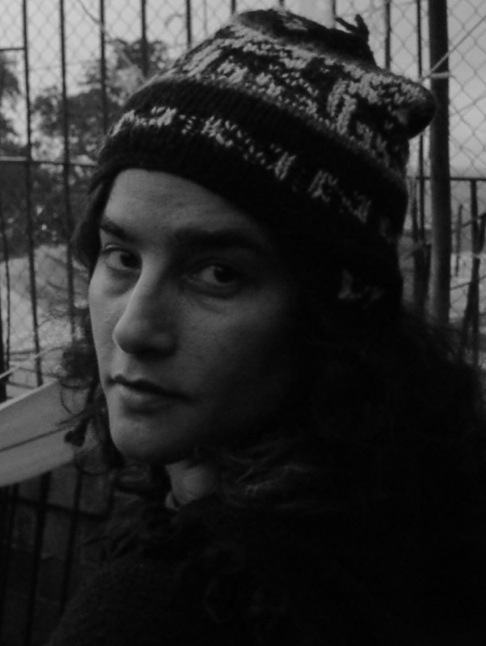 Yamit Shimonovitz received acclaim for her innovative cinematography on her first dramatic feature, All Or Nothing, which won the Jury Award at the Hollywood Black Film Festival. She is a multi-talented artist whose still photography has been exhibited in galleries and has appeared in magazines such as the L.A. Weekly and Poison Ivy. Born in Israel, and currently based in Los Angeles, Yamit identifies Delicatessen as the first picture that stayed with her for years, and the one that sparked her passion for film and cinematography. She brings her artistic attention to detail and inventive problem solving to all the forms in her repertoire: documentaries, features, shorts, and videos.